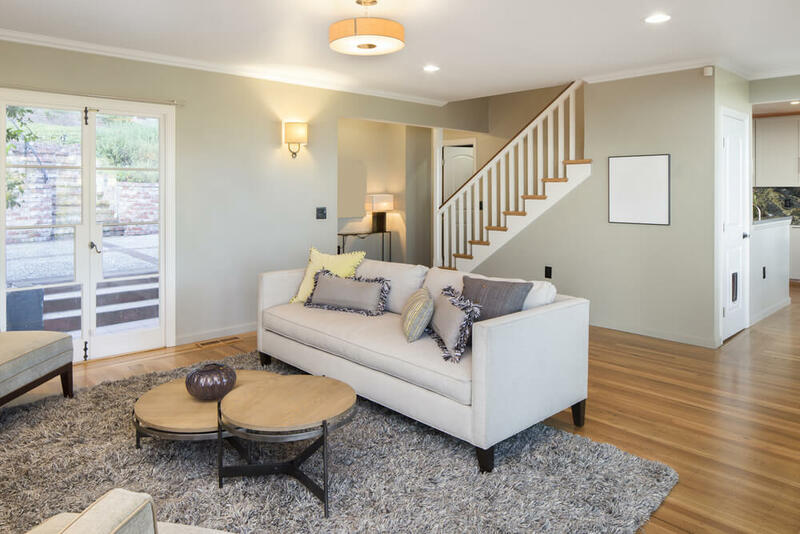 The best living room colors to choose when decorating will depend on the personal style and preference of the homeowner. 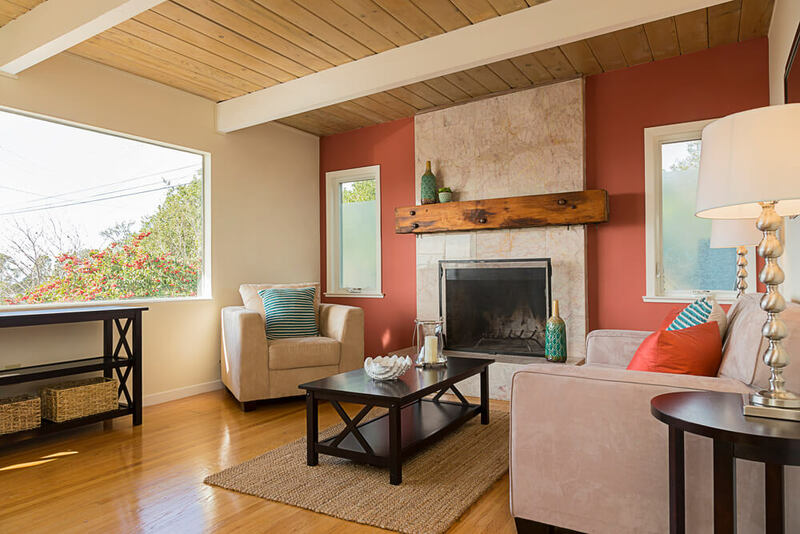 The best living room colors to choose when decorating will depend on the personal style and preference of the homeowner. 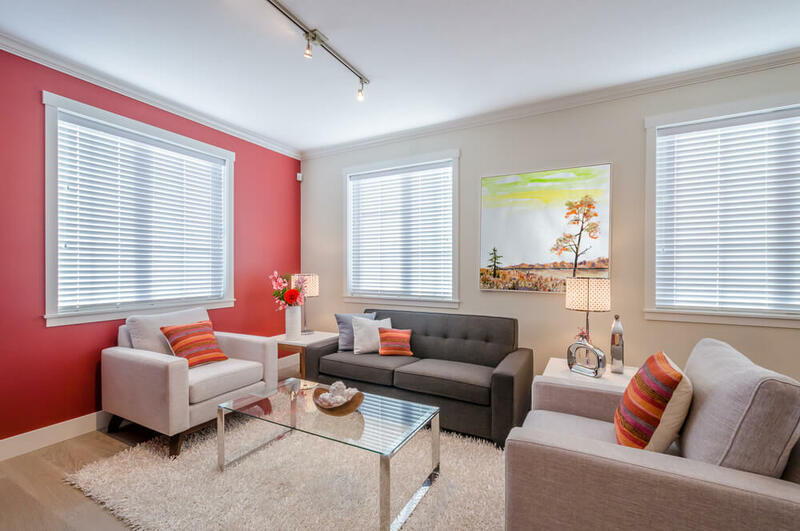 However, there are some colors that are often seen in these spaces because of their appeal and adaptability. 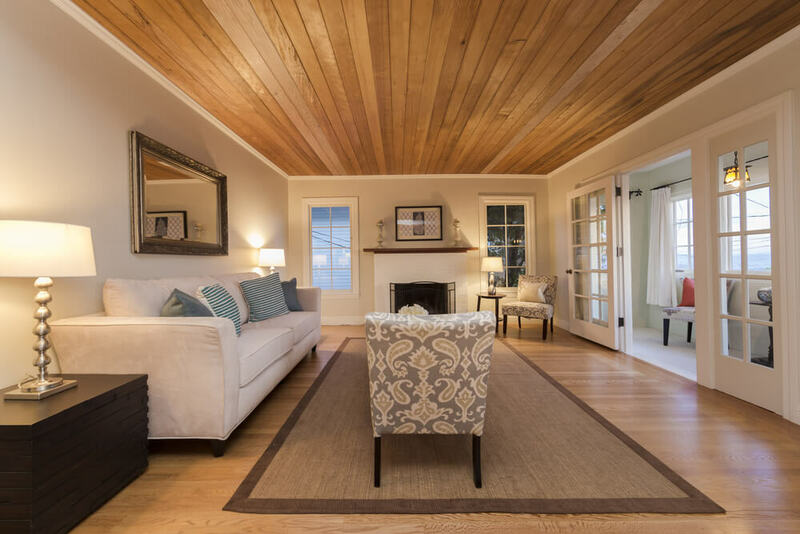 Whether light or dark, blue is often a good choice for a living room. It plays well with must colors. A deep, gray-blue can act as a neutral and provide a striking backdrop for a dramatic living room. A soft, sea-blue is perfect for a space decorated with a country or cottage style. 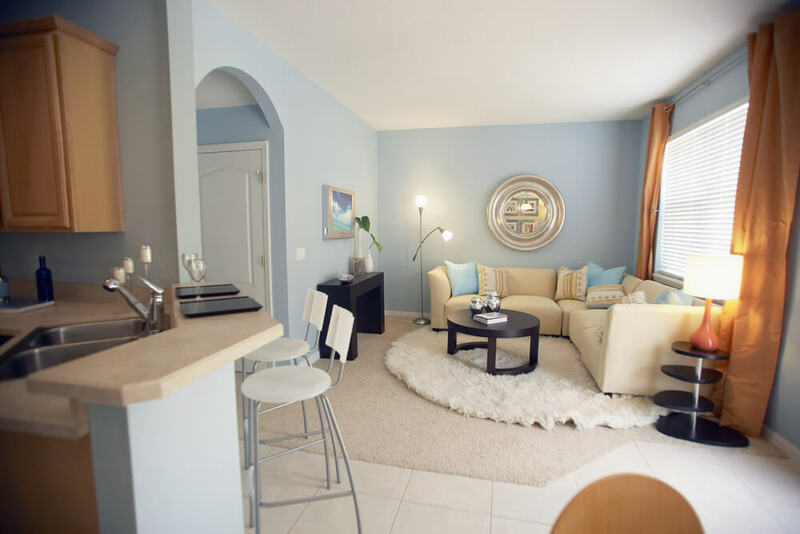 Blue tones are considered to be relaxing and soothing, ideal for a living rooms intended for those purposes. 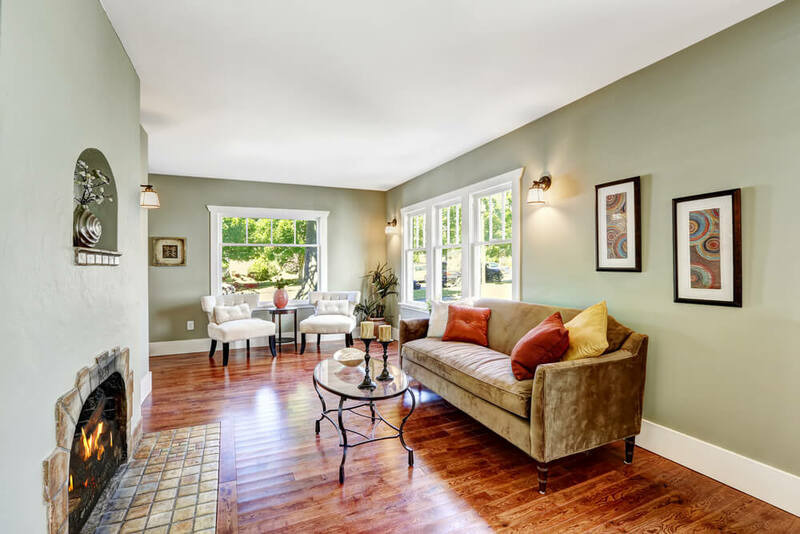 Green is another popular choice for a living or family room. A soft, minty green palette is ideal for traditional spaces but can also accommodate modern rooms when used correctly. A deep, sage green references the outdoors and exudes a masculine aesthetic. 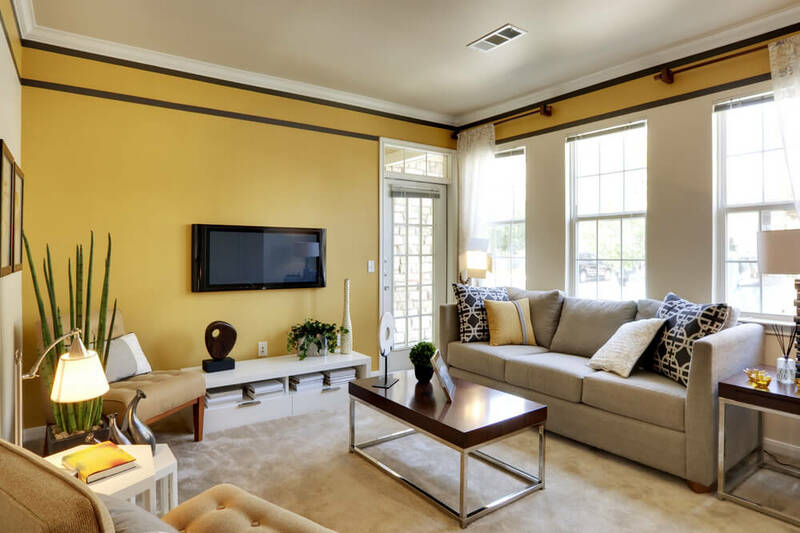 Yellow is another ideal color for a living room. 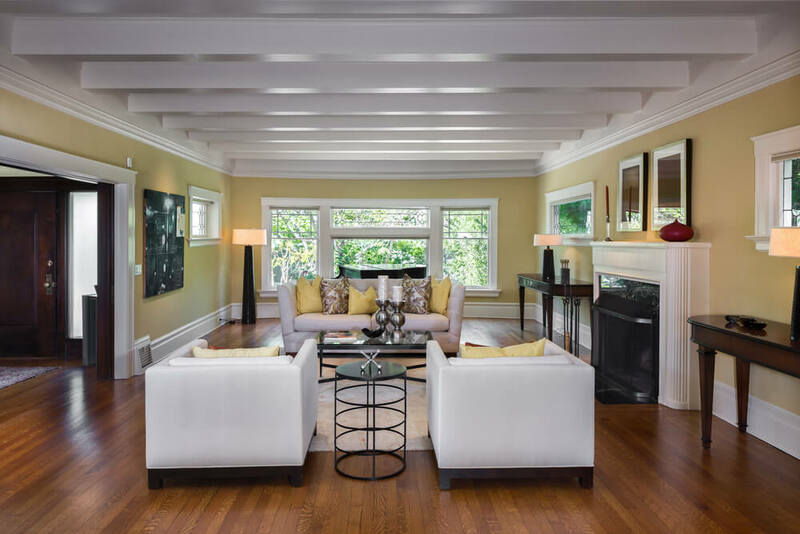 As the living room is often a place for social gatherings, yellow helps to get the conversation flowing among guests. When applied to the walls it provides a cheery backdrop to the activities of the space. It also coordinates well with blue, gray, taupe and teal. 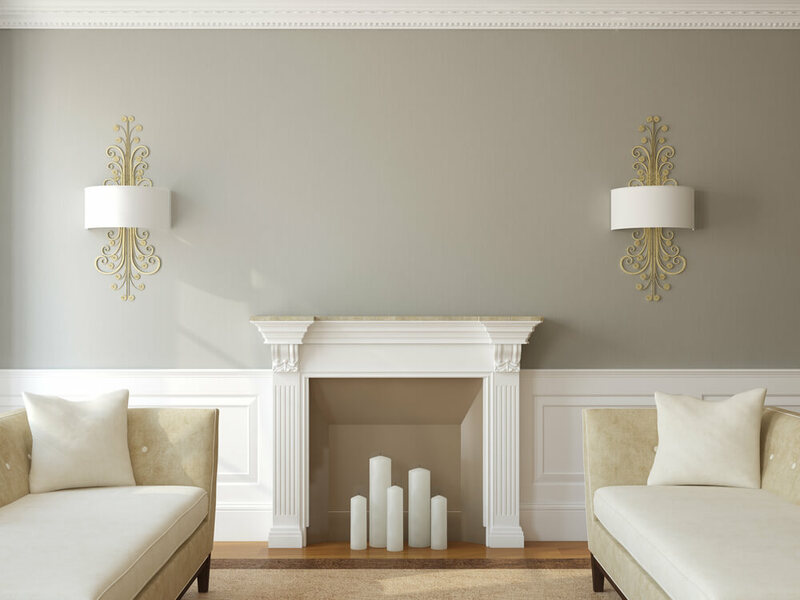 Neutral tones such as gray and white are excellent choices for the overall paint color of a living room. They provide the ideal backdrop for any design aesthetic and allow a rainbow of colors to be vibrantly showcased against them. 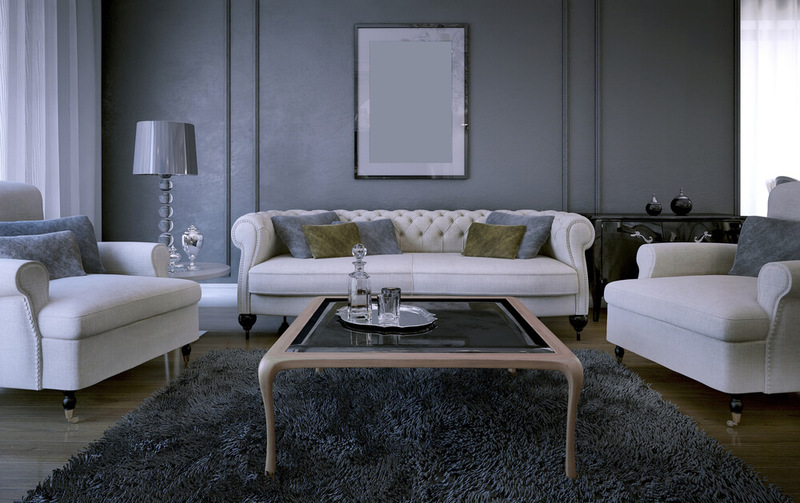 If white is a little too stark for your tastes then gray, taupe or beige are a good option. A deep charcoal wall creates a space that is cozy and comforting. 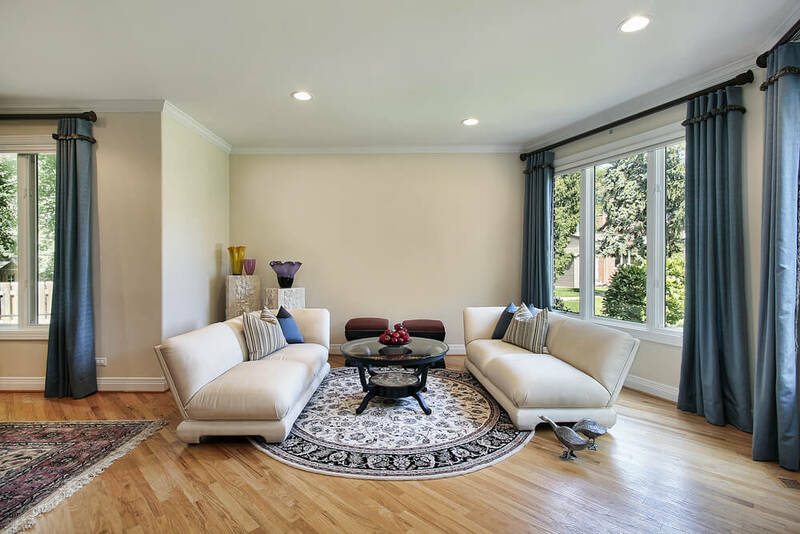 However, white can be quite beautiful as it reflects natural light to make a space feel more expansive. These neutral colors make it easier to transition design styles of you choose, as they do not restrict you to any one particular style. 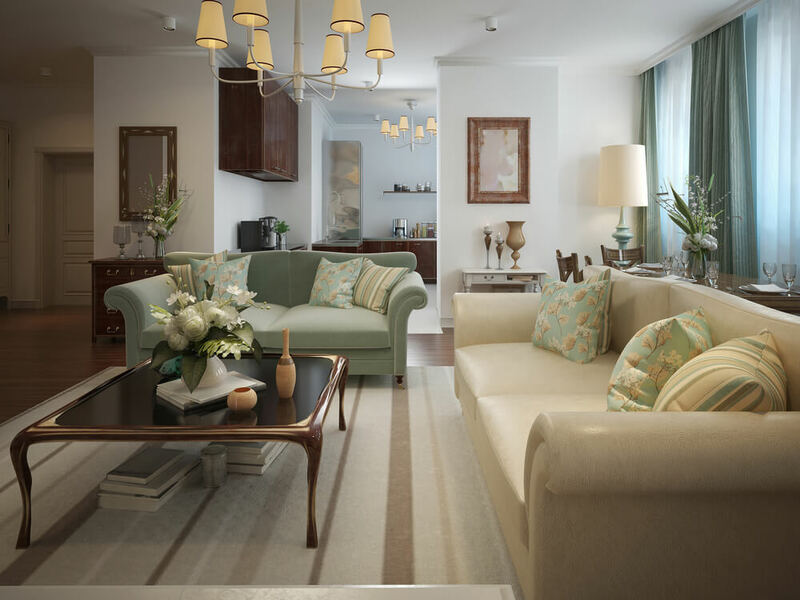 The gallery of living rooms below covers a variety of styles and colors. 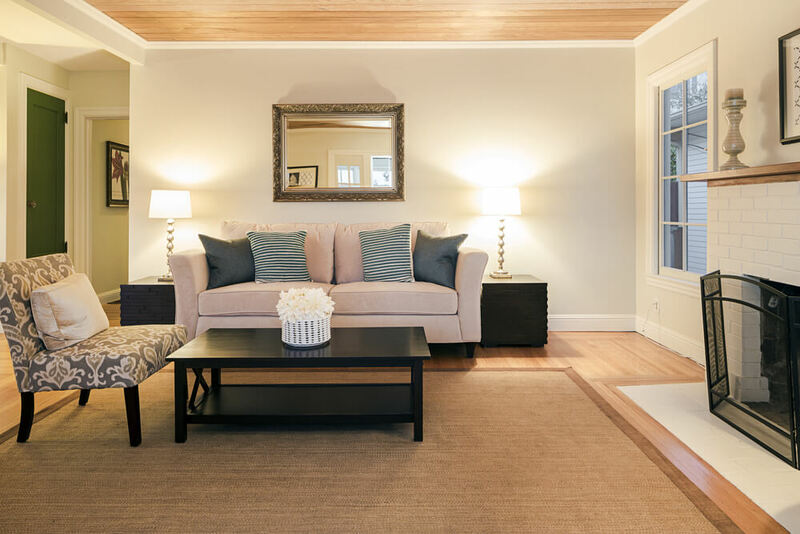 You are sure to find a color scheme that is the best for your living room.